Need a day out? How does heading out to the horse races at Santa Anita Park while brunching on dishes from some of LA's best restaurants sound? If that sounds like a great day to you, then bookmark this upcoming event: Brunch at the Races. 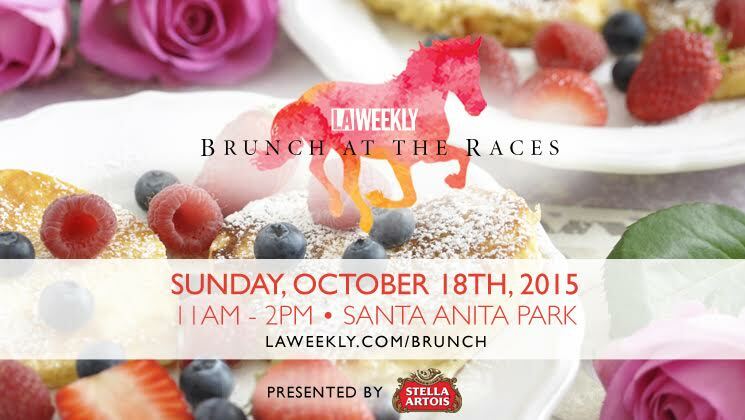 On Saturday, October 18, LA Weekly is throwing a brunch at the Santa Anita Park. Among the restaurants they've lined up are Auntie Em's, BierBeisl Imbiss, Go Get Em Tiger, Cassell's Hamburger, Goldie's, McConell's Fine Ice Creams, and more. 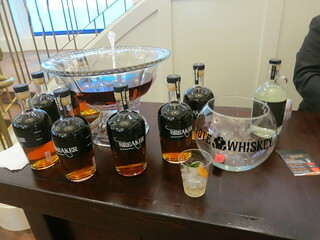 There will be beer/wine/cocktails available as well. 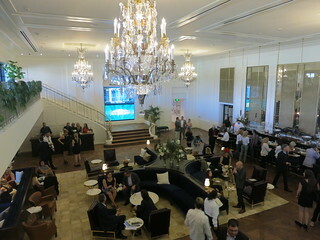 Eat, drink, watch the horse races, or maybe place a bet on one of the horses. Either way, you're in for a good time. Tickets are $45 and grants you access to the event as well as full day admission into Santa Anita Park. For $65 you can get a VIP ticket that will get you access to a special VIP lounge and a gift bag. Parking at the park is $4. But wait! For one of you lucky readers, LA Weekly has partnered with Gourmet Pigs to give away a pair of general admission tickets! Enter using the form below before the marked deadline, and good luck!